Here's Taste Buddies Recipe- Nang Humiga ang Hipon sa Tinapay...Gamberetti Bruschetta. Here's Taste Buddies Recipe- Beef Tenderloin with Hollandaise Sauce and Cauliflower Puree. 4. add worcestershire sauce and hot sauce. season with salt and pepper. 5. serve with cauliflower puree and asparagus. Here's Taste Buddies Recipe- MATAMIS NA MANGGA SA BASO (Mango Trifle). Watch Chef Boy Logro Life Story in 'Wagas" on GMA News TV. CHEF BOY LOGRO- Mr.Pingpingping and our favorite Kusina Master has not only recipes but a LOVE STORY to share! From a mere dishwasher to the celebrated chef that he is today, one woman stuck by his side... in sickness and in health, for richer or for poorer. ABANGAN Sa WAGAS... ngayong FEB9 na, Sabado 7PM sa GMANEWSTV... Coming Very Soon! 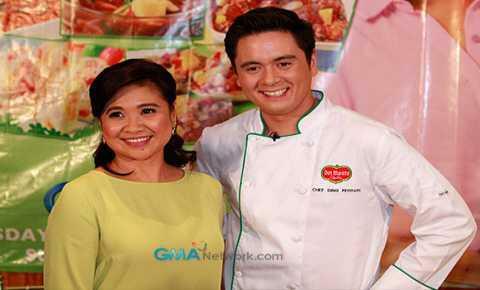 Award-winning actress Eugene Domingo and Chef Dino Ferrari, the hosts for the latest season of Del Monte Kitchenomics, met with the press recently. Check out what they prepared in this exclusive gallery. The new season will start on February 13 only on GMA 7. Philippine Ambassador to Thailand Jocelyn Batoon-Garcia gave an interview on Philippine cuisines to the Gate to ASEAN program of the ASEAN News Section of the Thai News Agency, MCOT Company Limited last January 22. During the interview, Ambassador Batoon-Garcia discussed Philippine cuisine—especially the most common ones such as adobo, pansit, and lechon—its flavors and influences. Following the interview, Ms. Aida Panchamnong, a long-time resident of Thailand, gave the cooking demonstration of adobo and pansit. Kapamilya teen heartthrob Daniel Padilla is the latest KFC Streetwise endorser. Meanwhile, Danile Padilla's“Nasa Iyo Na Ang Lahat” is one of the original Filipino compositions competing for the title Himig Handog P-Pop 2013 Grand Winner. 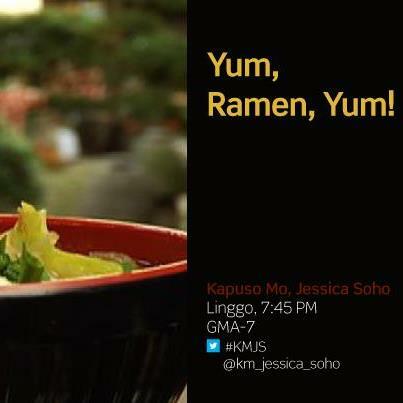 Watch Yum Ramen Yum in Kapuso Mo Jessica Soho on January 27, 2013 episode. Perfect ngayong malamig na panahon ang Ramen! At hindi na natin kailangan pang pumunta sa Japan para matikman ang original Ramen dahil nagsulputan na ngayon sa ating bansa ang mga Ramen House na magpapainit sa ating mga sikmura. Handa na ba kayong tikman ang masarap na pagkaing ito? Abangan ang Kapuso Mo, Jessica Soho ngayong Linggo, 7:45 PM sa GMA-7!" Video replay embed only from YouTube. Credit to KMJS. 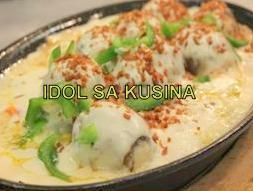 Here's Idol sa Kusina Recipe for Episode 77- Jan. 20, 2013- SIZZLING BALUT ALA POBRE. 1. Coat balut in flour, then deep fry and set aside. 2. In a pan, saute garlic in oil and butter, then add a little flour to make a roux. 3. Add in the cream and worcesterhire sauce. Add a little stock to thin out the sauce. Season with salt and pepper. 4. Place fried balut in sizzling plate and pour sauce over and garnish with spring onion and fried garlic. 5. Serve with mixed vegetable on the side. 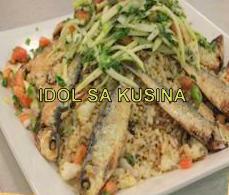 Here's Idol sa Kusina Recipe for Episode 77- Jan. 20, TUYO RICE TOPPING WITH CUCUMBER ENSALADA. 1. Saute onion, garlic and finger chili. Add tuyo flakes and cook for a bit. 2. Add rice and the rest of the ingredients, season with salt and pepper. Cook until mixed well, set aside. 3. For the salsa, chop all and combine everything in a bowl and serve with tuyo rice and whole fried tuyo. Jollibee Foundation is now Jollibee Group Foundation, Inc.
Jollibee Group Foundation, Inc. is now the Official Name of Jollibee Foundation! "Jollibee Foods Corporation (JFC) announces the renaming of its corporate foundation beginning 2013. Making itself more representative of the various business units of JFC, which includes Jollibee, Greenwich, Chowking, Red Ribbon, Mang Inasal and Burger King in the Philippines, Jollibee Foundation has formally changed its name to Jollibee Group Foundation, Inc. or JGF. The tweaking of Foundation name also seeks to serve more communities through its development programs. “The Board of Trustees of the Foundation adopted the new name to fully represent the Foundation’s greater commitment to provide more impactful service to the communities it works with. Other than the change in name, everything else in the Foundation’s mission, programs, and structure will remain the same,” said JGF President Grace Tan Caktiong in her statement. “Our flagship programs, the Busog, Lusog, Talino (BLT) School Feeding Program and the Farmer Entrepreneurship Program (FEP) are part of our thrust of promoting Food Security for Filipino families. We are grateful for and count on the continued support of our business units, employees, business partners, customers and partners to help realize the vision of every Filipino family enjoying a life defined by dignity, purpose and active participation in nation-building”, she added. To date, the BLT program – an initiative of JGF in partnership with local education stakeholders that addresses hunger among Grades 1 and 2 pupils and helps them to stay in school and learn better – covers more than one thousand schools nationwide; providing daily lunch to 38,000 public school pupils. This brings the total number of BLT pupils covered by the program to over 60,000 since its implementation in 2007. On the other hand, FEP, in partnership with Catholic Relief Services and National Livelihood Development Corporation, harnesses the JFC supply chain by giving the opportunity to small farmers to be direct suppliers of Jollibee and other institutional buyers, empowering them to be more productive and profitable. It has helped more than 400 small farmers in Nueva Ecija, Pangasinan, Quezon, Ilocos Sur, Tarlac, Agusan del Sur, Davao Oriental, and Bukidnon through training and technical assistance on production, marketing and finance." Watch John Gokongwei interview with Channel News Asia. Channel News Asia interviews JG Summit's founding chairman Mr. John Gokongwei on how he started and continues to maintain his multi-billion dollar conglomerate. 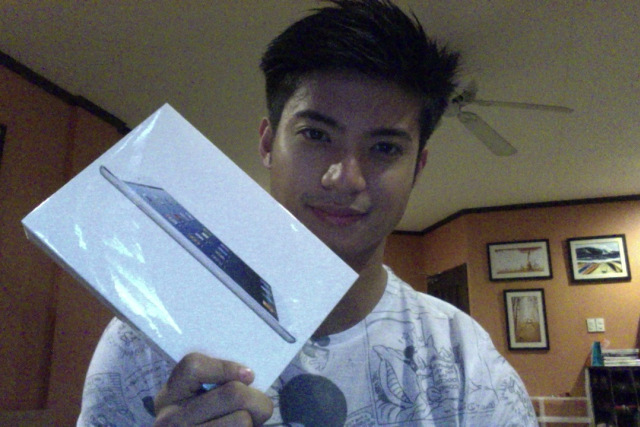 Mikael made a promise on Twitter that he would eventually giveaway an iPad Mini on his blog! Daez will post the contest details on his blog on Thursday, January 24, 2013 at 8pm! Now, on to the important part– the mechanics! 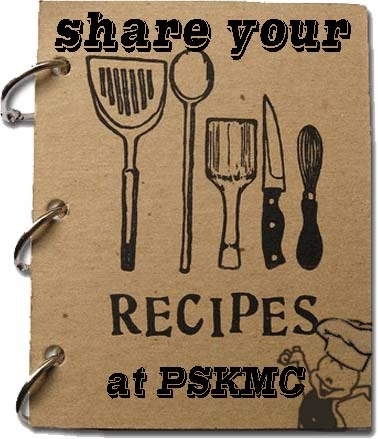 I will post the contest details here on Thursday, January 24, 2013 at 8pm! Remember that date and time! Don’t forget to visit this site. Btw, the 24th is also the worldwide release date of Streetfood Tycoon: World Tour! Lezzdothis! Goodluck! Here are the 5 Major Tips on Starting a Business as enumerated by Wilson Lee Flores from PhilStar. 2013, Year of the Water Snake is said to be a good year to start a business. According to Mr. Wilson he just recently I bought a new book by self-made British billionaire Richard Branson titled Like A Virgin: Secrets They Won’t Teach You at Business School at Hudson News inside Singapore’s Changi Airport. 1. If you don’t enjoy it, don’t do it. Business requires a lot of time and hard work, so enjoy it and love your business. 2. Be innovative. Create something different whether it’s a product, service or brand. 3. Pride of association works wonders. People or employees are your firm’s biggest assets — make people proud and happy to be associated with your business. 4. Lead by listening. Be a good listener, no one has a monopoly on good ideas or good advice. 5. Be visible. Don’t just hide behind a desk as a boss, go out and keep on meeting people — whether your staff or your clients. 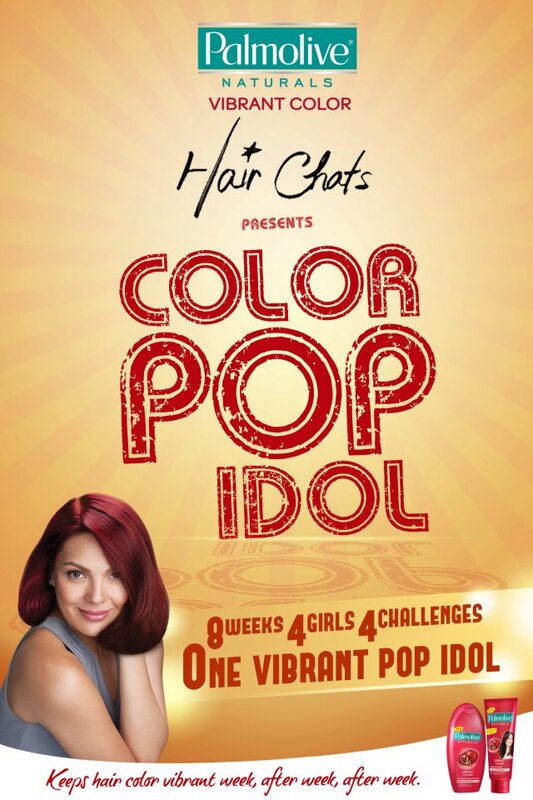 How to vote and win on Palmolive Color Pop Idol Promo. 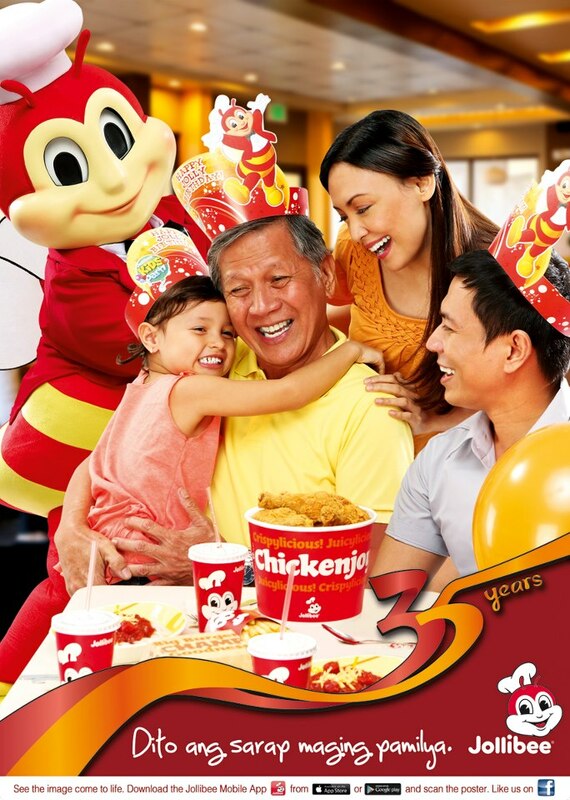 Jollibee celebrates 35 Years- join the Fun! Jollibee Food Corporation celebrates 35 Years- Come join the Fun! Jollibee Foods Corporation abbreviated as JFC and popularly known as Jollibee (PSE: JFC) is a Filipino multinational chain offast food restaurants headquartered in Pasig City, Philippines. It is the parent of Jollibee, the country's leading fast-food chain brand. Among its licensed brands are Chowking, Greenwich Pizza, Red Ribbon, Mang Inasal and Burger King Philippines. Since its inception, JFC expanded and to date, it has a total of 2,510 stores worldwide with a system wide retail sales totaling to 82.1 billion pesos for the fiscal year 2011. Sometime in 1978, Caktiong and his brothers and sisters engaged the services of a management consultant, Manuel C. Lumba. Lumba shifted the business focus from ice cream to hotdogs, after his studies showed that a much larger market was waiting to be served. Lumba became Caktiong's last business and management mentor. 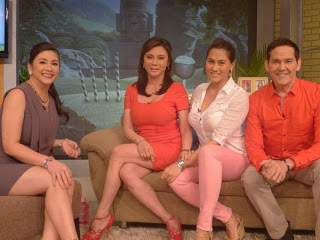 Watch Vicky Belo on Sarap Diva- January 19, 2013 Episode. Learn DOH “Belly Gud for Health” Dance Move. “Stress that comes with management work can lead to binge eating and lack of physical activity that may result to overnutrition. We don’t want our health executives to suffer the consequences of non-communicable diseases (NCDs), thus we are offering our undersecretaries, assistant secretaries, directors, division chiefs and program managers a light and enjoyable challenge to be fit by attaining and maintaining a desirable waist circumference,” Secretary Ona said. Waist circumference is a simple and easy measure of central obesity which is the amount of visceral fat (the fat that surrounds the inner organs) among adults and a significant indicator of risk for NCDs particularly heart disease and stroke. The desirable waist circumference is less than 90 centimeters (cm) for males and less than 80 cm for females. “Belly Gud for Health” is a six-month challenge where the DOH executives undergo nutrition and physical activity counselling, healthy diet, aerobic and isometric exercises, and stress management. They are provided with DOH-produced exercise videos to guide them with some proper workouts. Each executive will also be assigned a personal fitness mentor who will constantly remind them about diet and physical activities to follow. After three months, the executives will be required to join a Fitness Camp where indoor and outdoor fitness and wellness activities are conducted by a team of healthy lifestyle experts. A monthly monitoring and recording of their waist circumference will be made and monthly recognition and rewards will be provided for those who have decreased their previous waist circumference. At the end of the six-month challenge, the male and female executives who attained the greatest reduction of their belly fats will be declared as winners. Prizes include health products and services, like fruit baskets and gift certificates to wellness spa. Last year, “Belly Gud for Health” was conducted among DOH rank-and-file employees. From a total of 779 personnel, 362 or 46.5% attempted to accomplish desirable waist circumference levels for the 6-month period. At the end of the challenge, only 10 were recognized as top performers. The top female lost 9.55 cm while the top male lost 5.45 cm. Secretary Ona also revealed that this year the DOH intends bring the challenge dubbed the "Belly Gud for Health: Executive Edition" to other government offices as well. 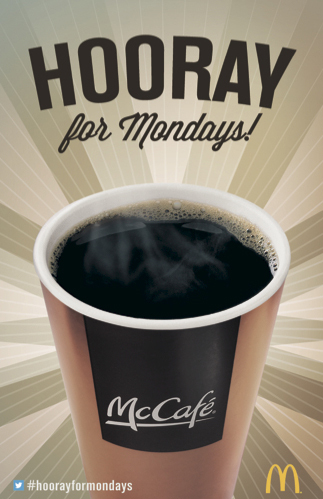 How to get McDonald's Free McCafe every Monday! 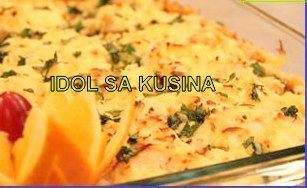 Here's Idol sa Kusina Recipe for Episode 76 / Jan. 6- MACARONI CASSEROLE WITH BEEF AND MUSHROOMS. Grease a baking pan and preheat the oven on 350 F.
In a large pan, Saute onion, green pepper, and mushrooms and then add the left over spaghetti meat sauce. Stir in cream of mushroom soup, and diced tomatoes. Cook and simmer. Adjust seasoning with salt and pepper. Spread the pasta in the prepared baking dish. Spoon the sauce over the pasta, then top with torn left over bread and then the cheddar cheese. Bake for 20 to 30 minutes, until hot and bubbly. 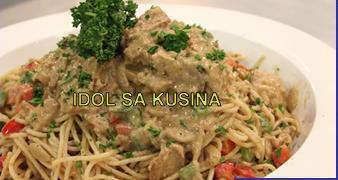 Here's Idol sa Kusina Recipe for Episode 76 / Jan. 6- LECHON WITH LIVER SAUCE PASTA. 1. Place onion, garlic and lemongrass in a blender. Add little oil to have a smooth paste. 2. Saute the vegetables and lechon. 3. Add the cream and lechon sauce and simmer. 4. Toss cooked pasta and serve. 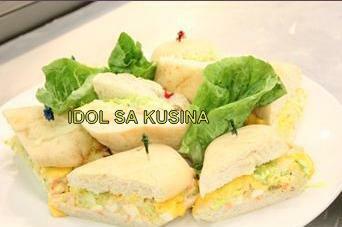 Here's Idol sa Kusina Recipe 2013- HAM AND QUEZO DE BOLA SANDWICH. 1. In a bowl, combine mustard and honey. Spread on the baguette and top with ham, tomatoes, onion, bell pepper and mozzarella cheese. 2. Bake in the oven until cheese melts. 3. Lastly top with fresh lettuce and add the grated quezo de bola to finish. 1. In a mixing bowl, add the eggs, celery, apple, carrots, mayonnaise, castanas, lemon juice, salt, and pepper. Using a spoon, place the egg salad on the baguette and top with cheese single/ slices. Garnish with parsley and a little paprika if preferred then serve. Here's Idol sa Kusina Recipe for Episode 75 / Dec. 23- FRUITY LECHE FLAN. In a bowl, mix the following ingredients: egg yolks, evaporated milk, condensed milk, and vanilla. Pour the mixture in the moulds and cover with foil. Steam for 15 - 20 minutes. Remove from the steamer and cool. Top the leche flan with assorted fruits and sprinkle with a little cinnamon. 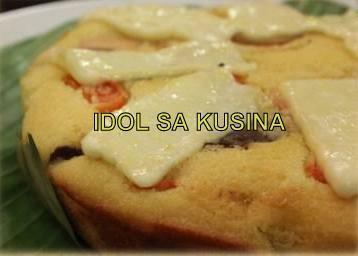 Here's Idol sa Kusina Recipe for Episode 75 / Dec. 23- GOURMET SAVORY BIBINGKA. 1. Beat eggs until light and creamy. 3. Beat dry ingredients alternately with coconut milk. 4. Pour batter into cake pans (10-12”) that have been greased and lined with wilted banana leaves. 5. Bake for 30 minutes in a microwave on high setting. 6. Brush with margarine while baking. 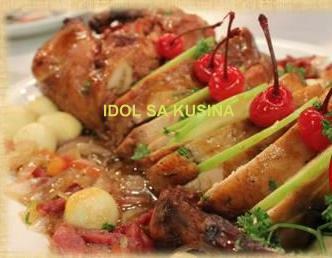 Here's Idol sa Kusina Recipe- MAGIC GOURMET CHICKEN RELLENO. Here's the Department of Health (DOH) advisory for the Black Nazarene devotees. 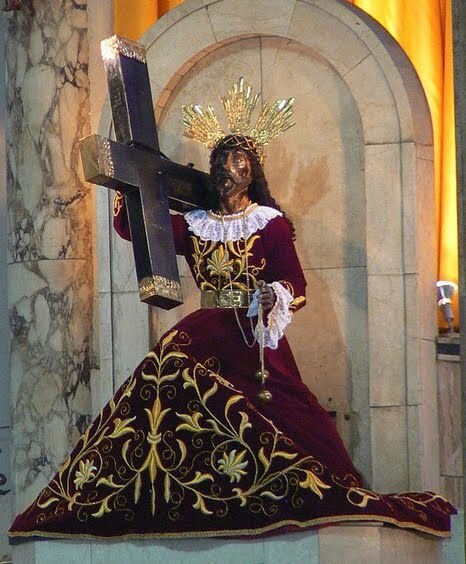 Meanwhile as of this posting, thousands of devotees of the Black Nazarene formed a line stretching more than one kilometer at the Quirino Grandstand in Manila as the traditional "pahalik" started Tuesday afternoon. Metropolitan Manila Development Authority traffic discipline office head Yves Gonzalez said that as of 1:53 p.m., the line was about 1.45 km long. DOH strongly urge the devotees to adopt prudent measures, such as bringing their own water and enough food, to avoid any untoward incidents during the yearly procession. “It would be more practical and healthy for devotees to bring their own food and snacks to the procession and avoid street foods as these are exposed to dust particles and other pollutants in the streets and are sometimes unsanitary,” Secretary of Health Enrique T. Ona said, adding they should also prevent dehydration by bringing their drinking water. Devotees are also advised not to bring along children during the Feast of the Black Nazarene to avoid injuries due to stampede and jostling. Also, small children or infants who are most vulnerable to diseases can easily get sick in these crowded environments. Ona also revealed that DOH emergency health teams will be on standby. On January 8, a DOH-National Capital Region Medical Team will be at the Quirino Grandstand. In case of mass casualty incidents, back up ambulance teams from the Jose Reyes Memorial Medical Center, San Lazaro Hospital, Dr. Jose Fabella Memorial Hospital, Tondo Medical Center, and Philippine Orthopedic Center will also be available. On January 9, emergency medical teams will be posted at the following locations: Quirino Grandstand near Museo Pambata; National Museum; Post Office/Liwasang Bonifacio; Metropolitan Theater area; Mercury Drug near Quiapo Church; City State Hotel along Quezon Boulevard; 7-11 Quezon Blvd North Bound; UST Lerma; and Palanca Street near Ayala Bridge. Code White Alert is up in all Metro Manila hospitals from January 8-10. The DOH Health Emergency Management Staff will continuously monitor the event and will be at the Quiapo Command Post coordinating with other agencies involved in the celebration. Catch McDonald's Mighty Chicken Wings now available in Chicago. Report from the Associated Presssays McDonald's chicken wings are being sold in servings of three, five or ten pieces with prices starting at $3. It is being offered with the default creamy ranch sauce. The test has been expanded in at least 500 restaurants in Chicago, the most populous city in the U.S. state of Illinois, after a successful run in Atlanta in 2012, the report said. 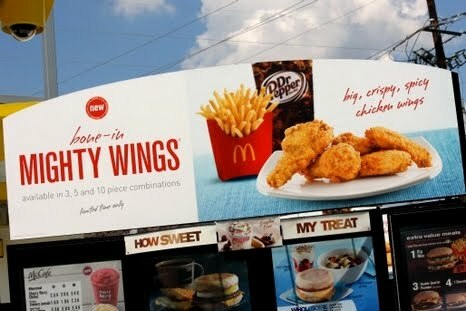 McDonald’s, the world’s largest chain of hamburger fast food restaurants, could be adding “Mighty Wings” to its chicken menu once the test in Chicago yields successful results. Here's Taste Buddies Recipe- LASAGNA WITH SPICY WALNUT SPINACH PESTO AND PUMPKIN PUREE. 2. For the pesto sauce, place spinach, basil, walnuts and cayenne pepper in a food processor or blender. Slowly add olive oil and mix until well blended. Set aside. 3. Spread 1/2 cup pumpkin puree in a baking dish and top with a layer of lasagna sheets, followed by a layer of pesto. 4. Repeat the process, ending with the pumpkin puree. Sprinkle with grated mozarella cheese, parmesan, and cottage cheese. 5. Bake in pre-heated over for 20 minutes or until cheese is bubbly. 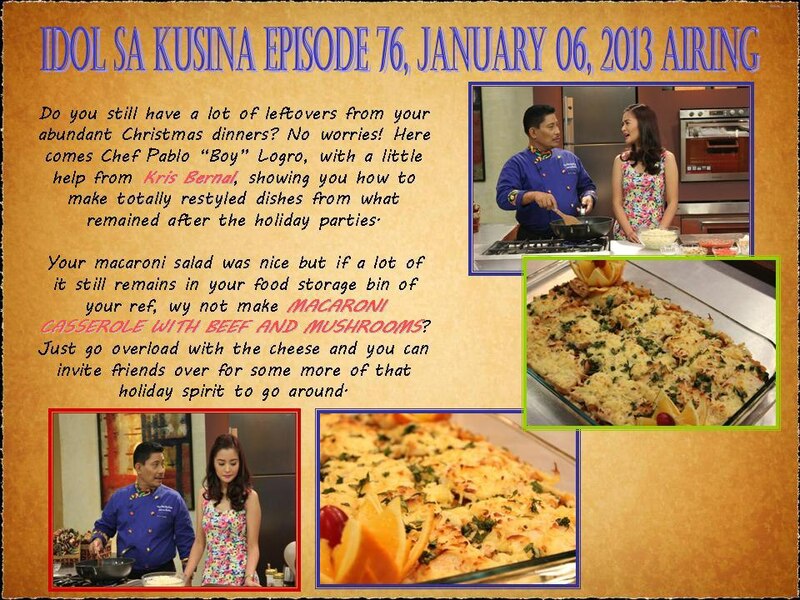 Watch KUSINA MASTER - January 7, 2013 Episode. Today's Kusina Master celebrity guest is Aicelle Santos of La Diva. 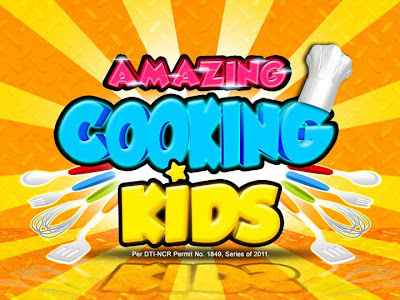 Chef Boy Logro: Kusina Master is a 15-minute cooking show that features a step-by-step cooking guide and unfold excellent kitchen skills and unravel secrets to make cooking and food preparation effortless and fun. 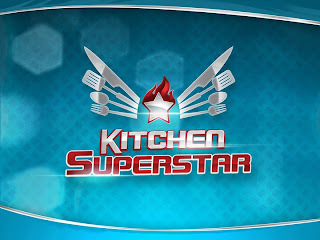 Every week, there will be a celebrity guest co-host that will assist Chef Boy in preparing different dishes. At the end of everyepisode, Chef Boy will give an assignment to viewers on what they need to buy or prepare for next episode. Video embed only from YouTube. Credit to GMA and the uploader. 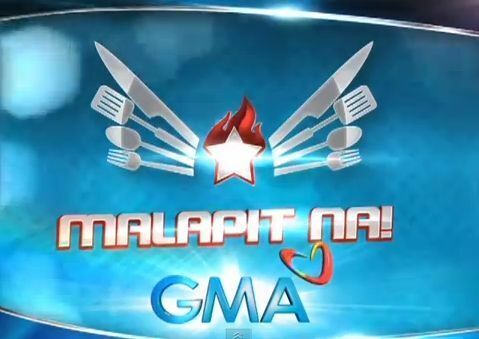 Watch MasterChef Pinoy Edition - 07 January 2013 Episode. 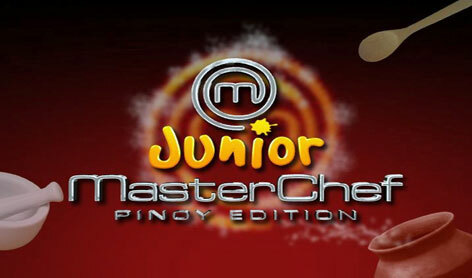 MasterChef Pinoy Edition is a Philippine competitive cooking game show featuring Filipino contestants from ages 18 to 50 years old. It is an adaptation of the British show MasterChef. The said show will air on November 12, 2012. MasterChef is back and ready to test the skills and recipes of amateur cooks in the Philippines.This is not your ordinary cooking show, as 1 million Pesos will be waiting for the lucky home cook. Who will be the first Pinoy Masterchef? Video embed only from Dailymotion. Credit to ABS-CBN and the uploader. Here's a 'PinoySuperKitchenMasterchef' health fact for you today! You might also want to share this important information with your friends. 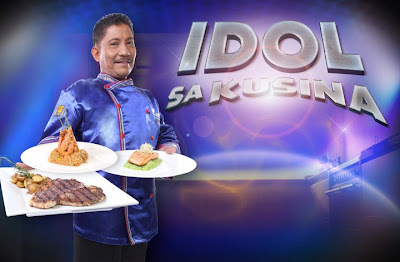 Watch Idol sa Kusina- January 6, 2013 Episode with Kris Bernal. Do you still have a lot of leftovers from your abundant Christmas dinner? No worries! Here comes Chef Pablo "Boy" Logro, with a little help from Kris Bernal, showing you how to make totally restyled dishes from what remained after the holiday parties. Watch Taste Buddies January 5, 2013 Episode with Sandy Daza. Ang sarap at ang dali gawin ng TINAPA RICE lalo pag si Sandy Daza ang nagturo! This Saturday Jan 5. Meanwhile here's an Easy Sweet and Sour Pork Recipe from Taste Buddies. Combine the pork,salt and pepper,rice wine,sesame oil and cornstarch. 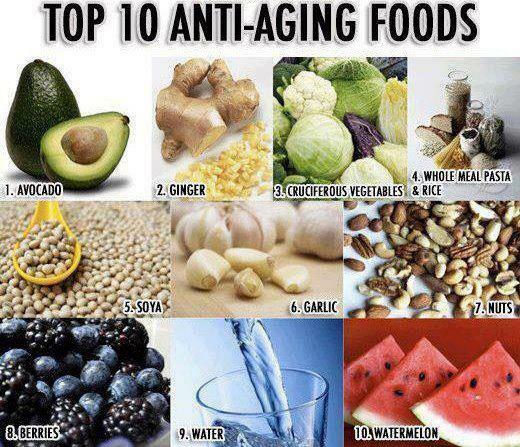 Set aside for 1o minutes. Combine soy sauce,rice vinegar,sugar and tomato sauce. Stir fry garlic and add the pork. Stir fry the bell peppers,onion and carrots. Add the sauce and some water. Add salt and pepper as needed. Add in the cooked pork and diced mango. Allow to simmer for a minute. Here's Taste Buddies Recipe- Roasted Pork with Mango Salsa. Combine garlic powder,cumin,cayenne and coriander. Add a pinch of salt and pepper. Sprinkle the spice over the pork. Heat 2 tbsp of oil in a pan. Sear both sides of the pork, about a minute each side. Finish cooking the pork in the oven until internal temperature reaches 63 C or 145 F.
For the salsa, combine the mango,tomato,bell pepper,onion,spring onion,salt,pepper and lime juice.